The focus of ORNL’s Manufacturing Science Group is to develop manufacturing processes and conditions with the ultimate performance and properties of advanced multiphase materials. 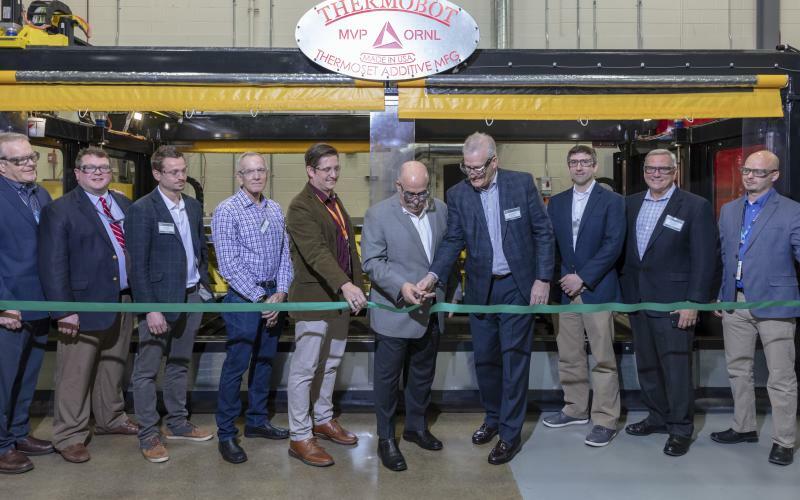 Through research and development, the group is developing a suite of modeling and experimental capabilities that link to manufacturing processes. Primary focus areas include metallic materials and polymer matrix composites. ORNL research in manufacturing science focuses on microstructure and properties of discontinuous fiber composites produced with rapid flow molded processes such as injection molding as well as highly controlled processes in extrusion deposition. Research also includes the development of numerical methods for prediction material response, structural modeling, experimental measurement of material and structural response under various loads and environmental conditions.